A painting contractor can help with banister painting as well as dozens of other painting-related tasks. As we covered previously, the other challenge in banister painting is the fact that banisters are subject to much more wear and tear than walls in most cases. Walls aren’t meant to be touched all the time, but banisters are a handrail on a staircase, which means that people are going to be touching them and rubbing their hands on them all day long. That means that special care has to be taken when preparing them to be painted, and when painting them. Using a higher quality paint helps, but that higher quality paint is only going to be able to do what it was designed to do if it is properly applied. That means that you really should hire a painting contractor for banister painting. Choosing the right painting contractor is the most important decision you will make when you decide to paint the interior of your home. 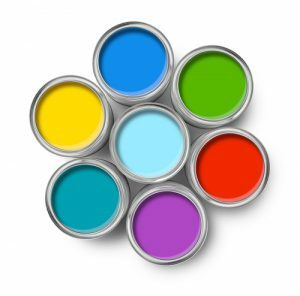 Choosing colors is important, and choosing the brand of paint is important as well, but none of this is important as choosing the right company to actually paint your home. If you choose the highest quality paint, in the perfect hue, it’s still going to look terrible if it isn’t applied the right way. It really is as simple as that. How do you ensure that the paint is applied the right way? You ensure it’s done right by paying a qualified professional house painter to do it. The first step you should take when hiring a painting contractor is to resolve to only hire a company that is licensed, bonded, and insured. Any reputable company will be properly licensed and insured. If a company you are considering hiring is not, then you should cross them off of the list of potential candidates and move on. Is it possible that a handyman will do a great job when painting your house? Of course, it is, but it’s more likely that they won’t. Then what do you do? When you deal with an unlicensed person that does any kind of work around your house you don’t have many options available to you in case they don’t do a good job. In other words, you are going to be out of the money you paid them. On top of that, you also have to worry about potentially being liable for any injuries they suffer, and for any damage, they cause to your home. The bottom line is that hiring anyone but a licensed, bonded, and insured painting contractor is a mistake.